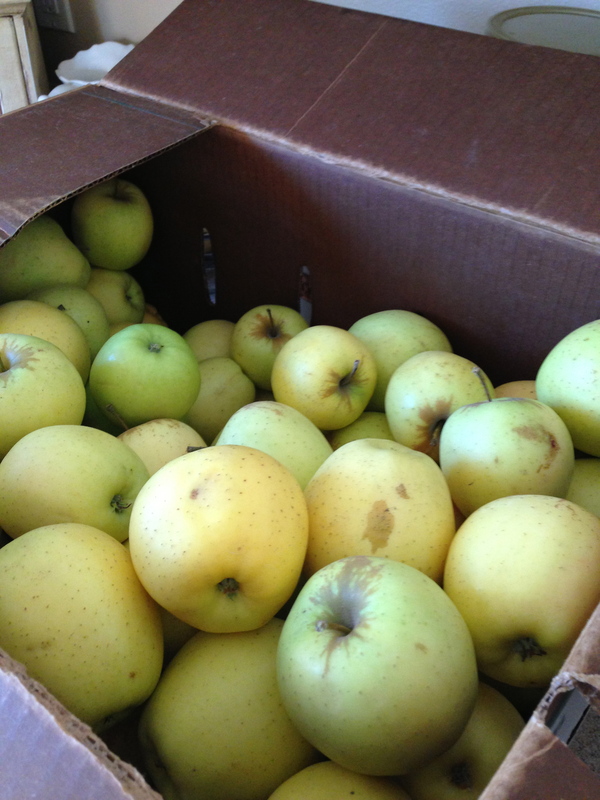 Personally I think best apples to use are golden delicious! 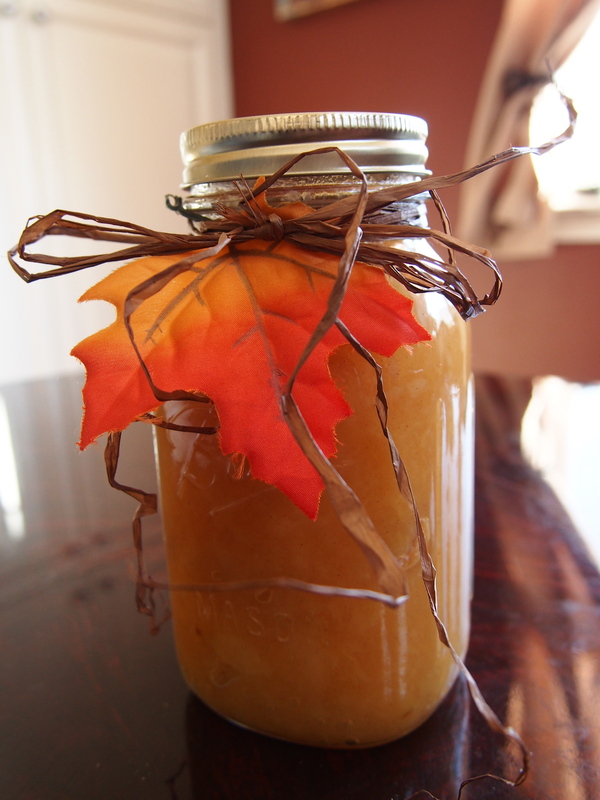 I was able to make 5 mason jars (32 quart) filled with homemade sauce from about 20lbs of apples (about 25 apples). These little jars would make a great gift with Holiday season quickly approaching too. 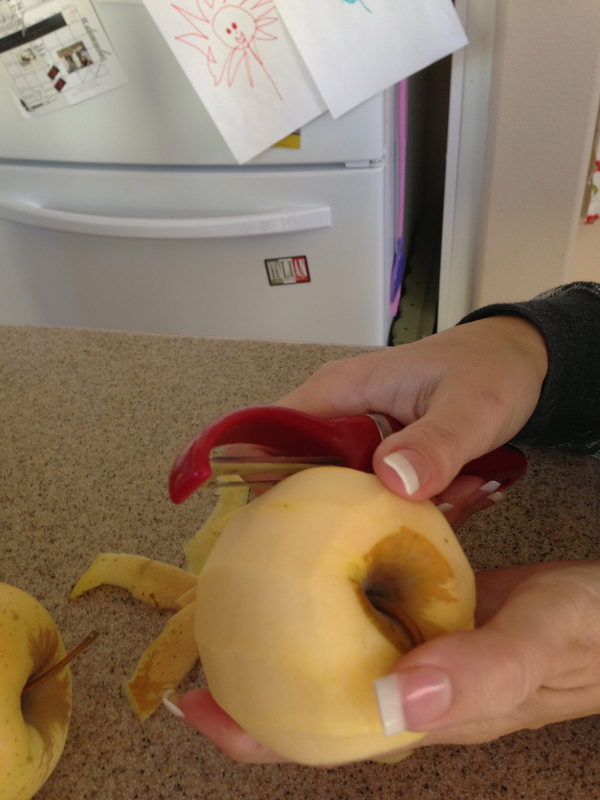 Peel all skin off apples. 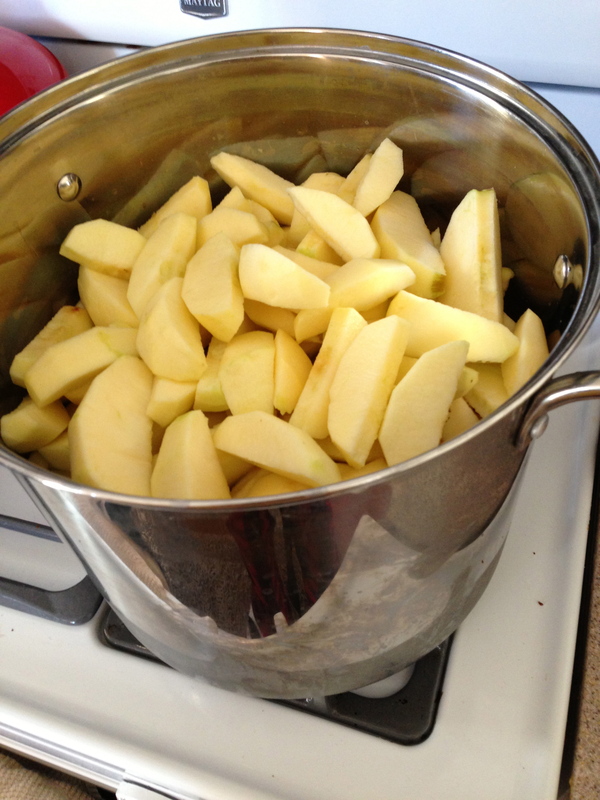 Pour 10 cups of apple cider into pot, then cut and de-core apples. Start boiling away! Let sit for about 20 to 30 mins. Mash away- based on how lumpy you like your sauce, add cinnamon. 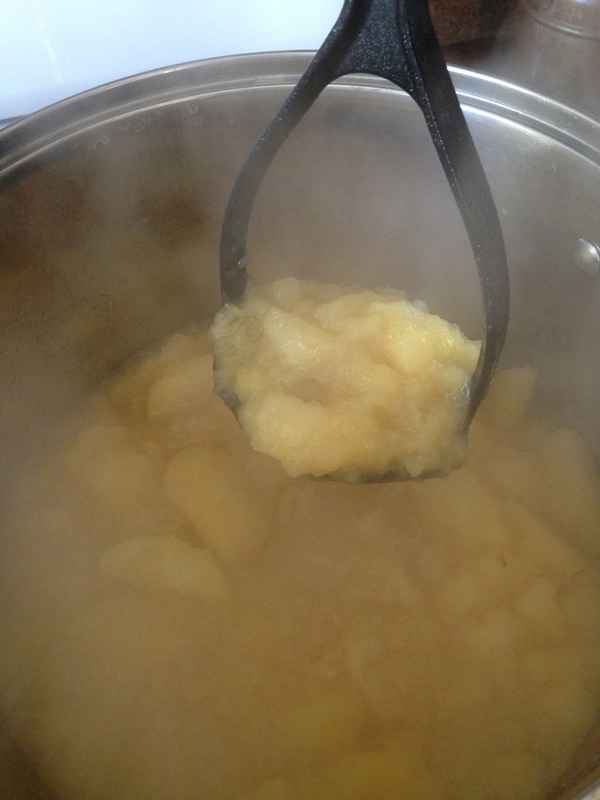 ** No sugar for this recipe, thats why we add the cider so that it brings a nice blend of other apples and the golden delicious are sweet!